In loving memory of/MACLEOD's GLenmore/1872-1962/MURDO MACLEOD/his wife/CATHERINE GILLIES/also son & daughter/NORMAN & MORAG. Murdo Macleod and Catherine Gillies, my great great grand parents. Added by Marion Ross on 14 March 2016. This looks like the Macleods that I have been researching. 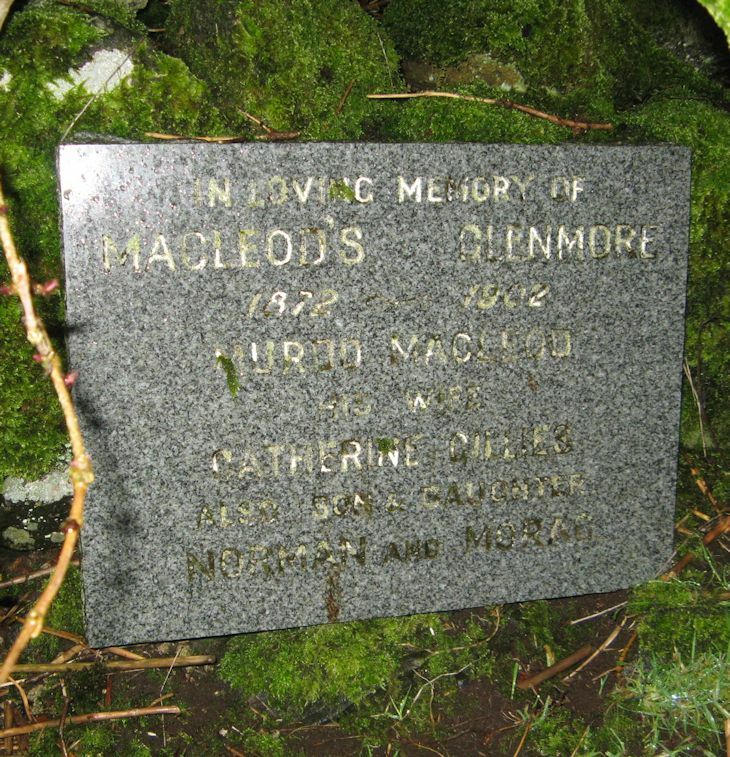 They had a son John Macleod who stated Murdo and Catherine nee Gillies (both deceased) were his parents on his marriage to Mary Nicolson in 1897 at Portree. Norman was a witness at the marriage. Added by Ian Kelly on 30 January 2018.